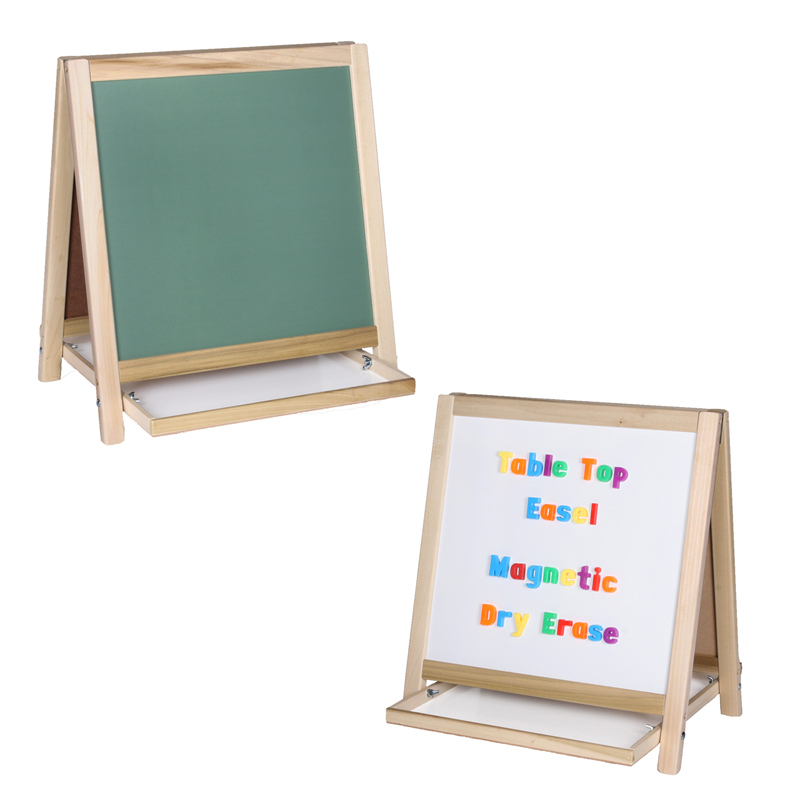 Designed for table top use, this framed wooden easel features a white magnetic dry erase surface on one side, and a green chalkboard on the reverse. 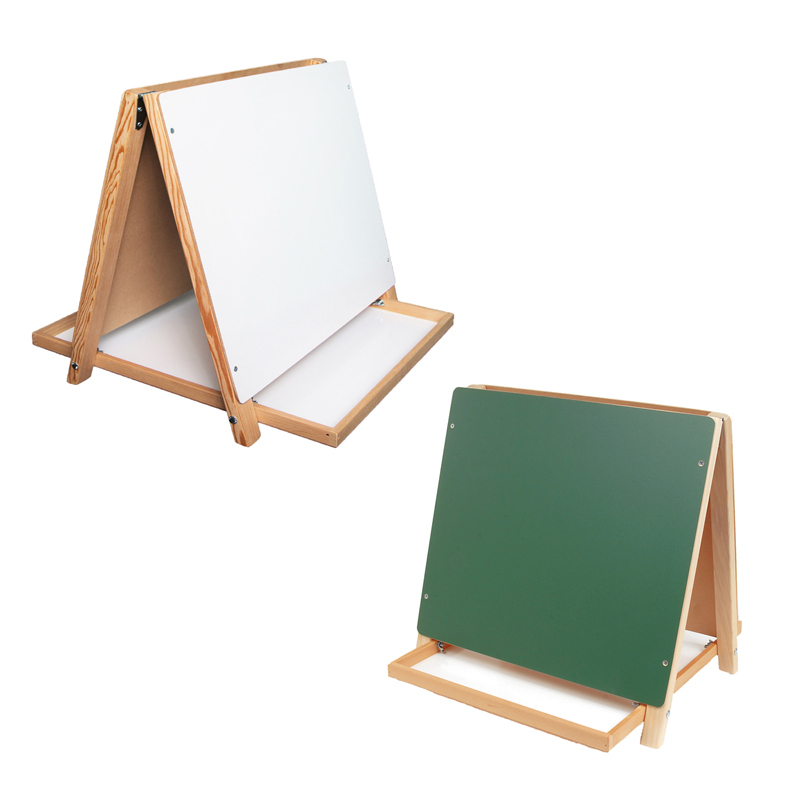 Large center tray provides useful storage space. 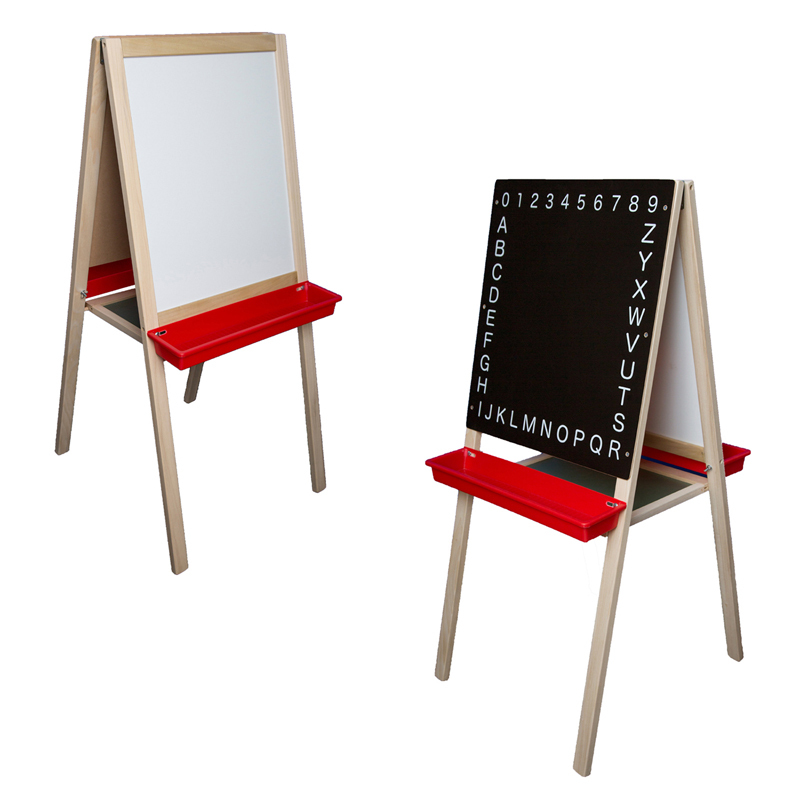 Ideal for classrooms, daycares, and homes. 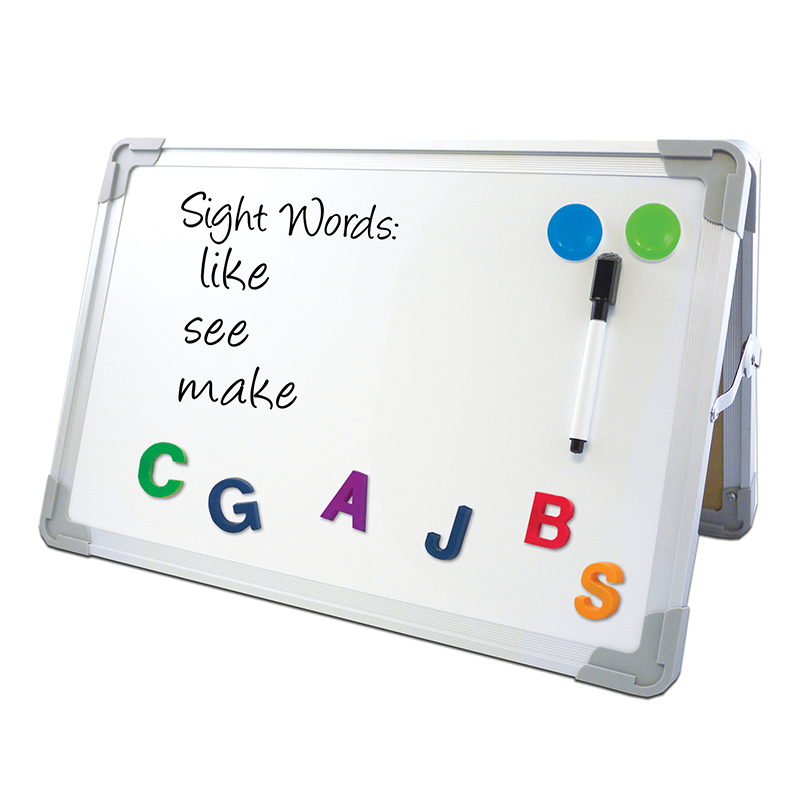 Measures 18.5" x 18". 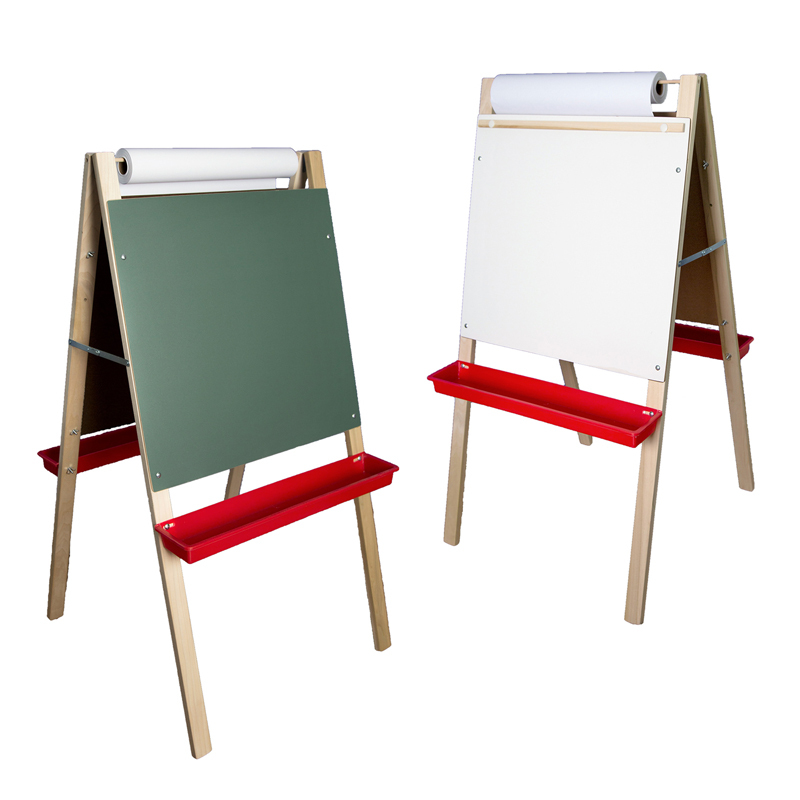 The Magnetic Table Top Easel can be found in our Easels product category within the Arts & Crafts.